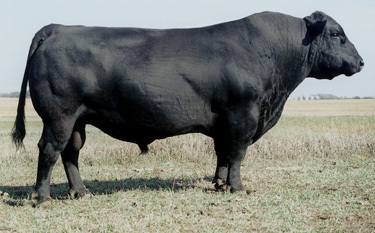 Superior is selling Pharo bulls today. Big money but they sure dont look that good to me! Must have super EPD's or something! Maybe they grow into something...what's the deal? The Red ones look a lot more bully and better on their feet. All look like dinks to me. I have seen some Pharo bulls in person. None of them ever impressed me. He claims they do well in the environment they are raised in and has done a good job of promoting that. But there is a world of difference between his environment and mine. I asked it in the other thread about Pharo bulls, and it was said here that his bulls are dinks. I know there is a running debate on cattle size. Would someone go into a little more detail on the critical aspects of Pharo's bulls. I will use Olde bulls as a comparison. Help me appreciate the difference. I wish they presented their cattle in the same way so it was easier to do a side by side comparison. Neither lists weight, but they list frame size and you can buy the frame you want from either. http://superiorlivestock.com/onlineVide ... actId=1228 These are 18 months old. And when you talk about environment. He is raising them on arid lands and also in Fescue country so it looks like he can match different environments. Somebody likes them - From Pharo sale - Record-breaking sale ! 275 lots averaged $7967.... Thanks to all who expressed confidence in our program, our genetics and our cattle. He is a good marketer that even mixes a little religion in with it. Lots of he saved my ranch stories. Has co-op herds all over. My beef is no prepotency due to constant outcrossing. Yes a lot of his Bulls are frame 2-3. That is too small for grassfed when profit is necessary. I need frame 4 or a little more. If you like OCC or pinebank or anything he uses then just go straight to them. Why buy a watered down version through him? Marketer not a breeder. with those bulls your seeing what pasture grass and hay will do.he dont beleive in graining his cattle. bigbull338 wrote: with those bulls your seeing what pasture grass and hay will do.he dont beleive in graining his cattle. I guess I have bought into that grass idea. Not a bull expert by any means but I don't like any of the black ones....bad feet, some have a strange walk, fine bones, no depth.....just not something I'd drop that kind of money on.....would love to see them in person though and see what they really look like. BUT looks like he hit it out of the park. These are all Pharo herd sires. Explain to me where they go wrong. I think they are all 3 frame bulls. Are you saying 3 is too small? I'm not talking about frame size at all. this is my opinion, I don't think frame 3 is too small but it is the lowest I would go. I really think one needs to be doing some direct marketing to get the full return on these types. Whether that be grass fed or grass yearling/60-75 day feed market. My whole point in this is why not go right to the source of their sires? Skip the middle guy (pharo) or use AI. His cows just water down the genetics. I do like the WYE bull and would use him as a terminal cross on my commercial Herefords. the last bull i raised was grass fed with very little grain.he was fat or pretty but he was a good bull.